Published by Slack Technologies Inc.
We’ve been working hard and feel confident enough to open up our Windows Phone Beta to all the patient Windows Phone users who've been clamoring for it. 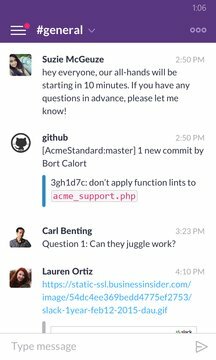 But this is a beta — not the finished version, so it has some rough edges and quirky traits unbecoming of a proper Slack application. We humbly ask only one thing: please give us your honest feedback so that we can make your Windows Phone experience great. 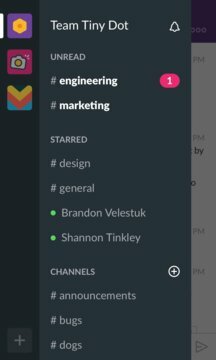 We've posted a list of known bugs at https://slack.com/release-notes/winphone. We'll update it as we knock bugs down and add ones to the list that we plan to fix in an upcoming release.